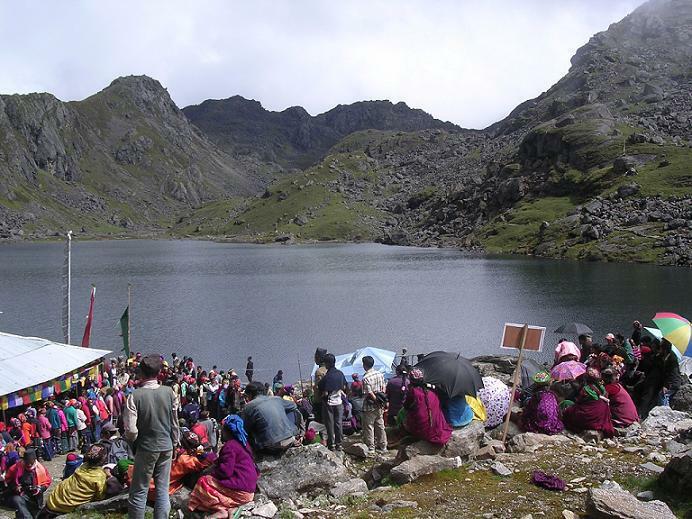 RASUWA, July 28: Some two thousand devotees visited the famous pilgrimage site Gosainkunda in the district and took holy dips in the ponds on the occasion of the Janai Purnima festival this time. The devotees start streaming to this holy site a week before the day of the festival proper. They begin returning from Gosainkunda after taking holy bath from today itself, the day of the Janai Purnima festival. It is said devotees from various places like Kathmandu Valley, Kavre, Sindhupalchok, Dolakha, Makwanpur, Dang, Sarlahi, Chitwan, Syangja, Kaski, Jhapa among others visited Gosainkunda this festival time. Two of the devotees who suffered from altitude sickness on Thursday were rescued and treated by the Nepalese Army, Kalijung Battalion-run health camp. They have returned home after treatment, police said.